Will Ethiopia digitalize its Monuments? We of Misrak Kirs use all the means we can master, all the time and effort we are capable of to promote and save heritage in Ethiopia, along the new Extended east Route, and not only. One of our members, Meftuh Shash Abubaker, from Toronto, Canada, has indicated we could apply to acquire the new 3D laserscan technology developed by Ben Kacyra and his teams. So here we come, convinced not only we will win the competitive bid amongst a number of potential applicants worldwide, but that we will provide Ethiopian Heritage a new, powerful tool for cultural tourism promotion. The best way to defend and promote our heritage is in our hands, let us carry on the good, necessary job. To the CyARK 500 Advisory Council. Our association has the pleasure, feeling it a task of importance to us, to submit two sites for the evaluation of Your project. We have been conducting, as members of Misrak Kirs, a series of surveys of the new interborder tourist Extended East Route, covering around 3,000 kms in Ethiopia, Somaliland and Djibouti and introduced remote sensing for Archeaology to our Country, Ethiopia, with the purpose of producing detailed resource mapping. 1) The first site we propose You is the Goze Mosque, in the Amhara regional State of the Federal Republic of Ethiopia. It is the oldest original standing, largely unmodified mosque known in Ethiopia. It has never been excavated or dated, while comparison with similar mosques, all at least partly collapsed, suggest different datings from the 13th to the 15th century. We acclude an academic paper on the site, that mentions also other Ifat mosques. 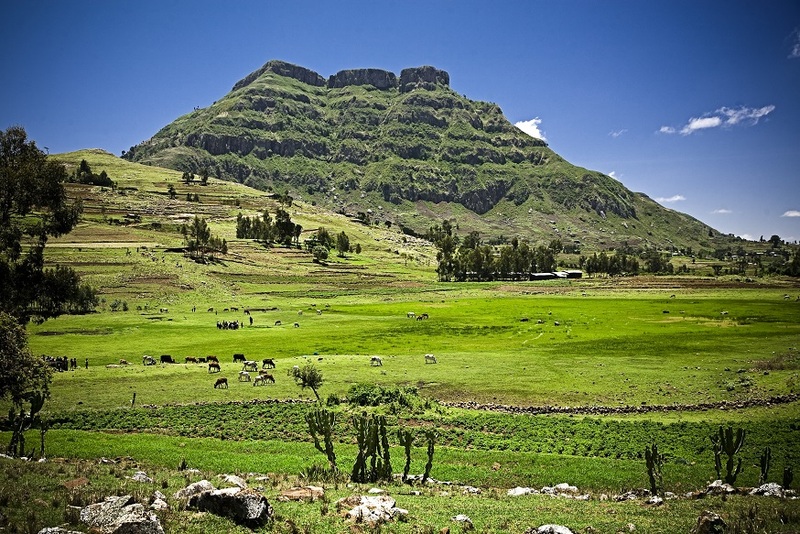 All archaeological and historic sites are placed, in Ethiopia, under the jurisdiction of the ARCCH, Federal Authority for the Research and Conservation of Cultural Heritage. We have preventatively informed their present General Manager, Ato Yonas, of this present proposal. We work in close relationship with the Authority and under their direct control. The Authority has the exclusive power to authorize studies of any kind on Ethiopian territory, on cultural resources. Risk for the site can be assessed evaluating the state of similar mosques, all collapsed, and the fact that the roof is leaking onto an instable ancient wood ceiling and that the area is prone to continuous light seismic activity, not of the most destructive sort. We repute the presence of a limited number of faithful will avoid its utter demolition, of the sort we have observed for the Ahmud town in near Somaliland, or for example of this Tower near Addis Ababa, our capital town. Very few medieval mosques stand as they were, unmodified and redesigned, in the whole world, not just at this unique Ethiopian mountain top site. The merit of this single operation, digitalizing the mosque and any othet annex stands in its worth, less than five chilometres as the bird flies from the main road to Djibouti, along a tourist route easily presented as the alternative to the classic North of Lalibela, lake Tana and Axum, in a context of Ethiopian tourism, ever increasing characterized by Arab and Muslim visitors. 2) The Kundudo and its surrounding valleys, Misrak Hararge, Oromia, an elegant 3,000 m flat top mountain are a concentrate of archaeological, speleological and naturalistic marvels. The area has been recently proposed for the constitution of one of the Country's first local parks, or Community Conservation Areas. Mt. Kundudo, the North Face. We propose scanning, in a limited area, what is Ethiopia's best rock painting site, first published by Misrak Kirs in 2010, Goda Rorisso, a granitic underrock, as well as Dagga Gala, and Saka Sharif, nearby rock paintings sites known since longer, and the best tract of the Gursum Pearl, a real speleological marvel. All stand in close sight of the Kundudo mountain, a few kilometres from one another. The proposed Kundudo park is a main feature of the mentioned tour route, the EER, Misrak Kirs has done the resource mapping for tourism in the area, for the competent Ministry, first, since 2008. As mentioned, here too ARCCH, our direct supervisors, are in charge of permissions and man made monuments as a whole, local Oromia authorities will instead authorize the Cave scanning. Rock painting sites are not rare in Ethiopia. Unfortunately, all those tourists have had access to have been all by destroyed in a matter of years, very recently. This video shows a prominent foreign journalist, evidently uninformed, witness undisturbed the washing to exhaustion of a fine painting, for the sole scope of a not particularly well filmed image! In other instances, simple vandalism has disposed of them, as in the case of the Kundudo main town, Gursum, Stinico East site. As to the very delicate features in the Gursum pearl cave, uneasy access has not prevented some pisolites or cave pearls from being taken and a number of speleothems or rock formation from being smashed. Mastering the 3D laser scans technology would mean us being capable to select and scan from over four hundred known rock hewn churches, none ever digitalized in any form, over two hundred caves, newly discovered by our teams in Hararge region alone. And eighty three main rock painting caves and underrocks, of which a good half hitherto unknown to science. All the latter caves and rock paintings sites are along the newly proposed Extended East Route interborder tourism route of Eastern Ethiopia, Somaliland and Djibouti. Every rock painting site is utterly unique. We are powerless witnesses to the destruction of the best of them, in Ethiopia. Digitalizing them will not only permit an eventual restoration work after human inflicted damage, but will permit, globally, the promotion they need. We are convinced the new technology will assist vitally Ethiopians in promoting local and international cultural tourism, ultimately, the sole way to preserve a totally singular, articulated, ancient, and sadly otherwise irreplacable heritage. Misrak Kirs has been engaged for years in Cultural Heritage presevation here, our competent members have done so in some noted cases all their professional lives through. We will provide competent personnell to the missions, capable to replicate the scans, we have dedicated technicians and students amongst us. There is no fund available so far in the Country for digital preservation of cultural artefacts, though for example one of our nearest collaborators, Abdella Cherif of the Harar Private Cherif Museum has received funds to digitalize Harari music and audio recorded events and culture. We have indications that the acquisition of the technology will favour the destination of monetary resources for the digitalization of a number of monuments at the expenditure of both the Ministry of Culture and Tourism and local entrepreneurs and Corporations. Professor Marco Vigano, Misrak Kirs Secretary. 1. 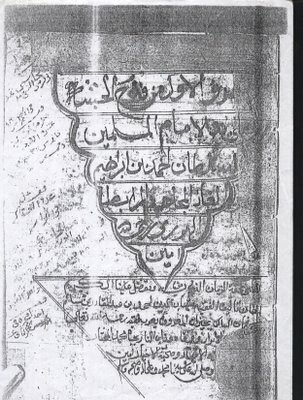 An academic paper on the Goze and Faqi Dabbis Mosques. 2. A second paper with the only archeological sounding of the medieval Ifat mosques in the area. 3. A number of photoes of the proposed sites. 1. A video of the Goze mosque. The interviewee, Seid Hassen, is one of our association members. A beautiful Axum Ceramics piece. On Ebay! An idea of where this item has been stolen from? not so much legal, no one will catch them, but moral, or something. It hurts me. Someone in the group or the group's acquaintance may... purchase it for probably less than 150 UK Pounds. Give it back here, or, at least, make sure it is in the hands of a person with better knowledge than those sort of guys? If you do this, I will offer you a two day stay in Addis Ababa in which you will be honored for offering it to the National Museum, promise and will guarantee personally. As you imagine, the piece must be authentic. It will be interesting to see which proof has the seller. In any case, not heard of many fakes of Axum pottery, it can sure be... done with today's ovens, easily. Dust not, thou, learned woman or man, feel empatic with this ancient cry! If you are the one to purchase it, let me once, once only, see it from near. Soon, an expert British archeologist who has worked in Axum indicated the head is molt likely a fake, judging from the form of the patina rills. 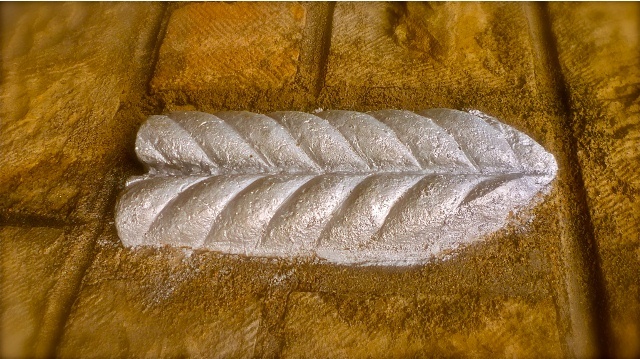 Patina rills betray false aging and non traditional materials. This item is most likely a falsified copy. pls see also this conversation on Facebook about your item. this is not the case, we repute this to be a fake. Prof. Marco Vigano, Addis Ababa, Misrak Kirs association chair. Thank you very much indeed for your advice, I have removed permanently the head from sale. I can confirm that this is not a culture I understand or normally deal in so I will avoid anything in future without bona fide legal export papers. This head was acquired in a box of general antiquities a few years ago at auction, if it is of interest to you I would be happy to try to find the references for your records. Thank you again and kind regards, Name and adress of vendor. Yours is a very appropriate, in many ways gentle and correct gesture. but seeing stuff we presume illegally excavated or acquired touches us. The supposition the item is fake has come from an expert valuating the rills in the patina covering it, that appear dried to imitate normal aging. I had proposed, on the Fb page of noted Ethiopian and Horn of Africa experts and interested social networkers a personal, special prize for he who should have acquired the object, in case it was proven original. Two days in Addis with us, a tour of locations and the pride to offer it to our National Museum. This applies to You, definitely, should the object be proven authentic, instead, e.g., after a visit to your local Museum or the nearest PAS, portable antiquity scheme expert! Thank you very much for your kind response also, I appreciate that it is no easy task to safeguard heritage for the future and it must be an overwhelming task at times. One day I would be absolutely delighted to take up your extremely generous offer but I think that it would have to be some years in the future as we have our hands full with a young baby at the moment! A good friend visited Ethiopia 4 or 5 years ago and I regretted not joining the trip but it is of course a place which holds fascination for anyone with a broader cultural interest. If the head can be of use to your institute in any way please let me know and I would be happy to donate it including shipping costs. We have recently seen a rare illuminated ancient Harari book sold on ebay. STILL ON SALE FOR AROUND 50,000 USD, Harari, we presume illicitly acquired! This is a lucky, unusual happy ending. Since around 2008 I started looking for ruins on google earth, on rare ancient maps of Ethiopia and on mud and slippery local ground, where at times little misunderstandings from professional colleagues have made my job a bit harder. That very year cobblestone roads started appearing everywhere around Addis Ababa and steadily started diffusing all over the Country. Good roads designed to last forever, made possible through abundant work force, engaged in particular in finding and hand cutting to shape millions of cubes of local stone, of whatever sort available. Good pocket money for dozens of thousands of quarriers, similar numbers of road makers. Before me friend Hartwig Breternitz had looked well, with exactly the same means: ancient maps, sat views and good boots, all around Addis in the quest for Barara, mythic medieval capital of Abyssinia. His discoveries are amazing, some coincide with mine. They are mainly mountain fortresses, indices of the presence just below of important historic towns, Badeqqe, Sire, Masin and, obviously, Barara, capital of Ethiopia for around a century, from 1435ca under Zera Yacob to its destruction in 1530 by Mohamed ibn Ibrahim al Ghazi, the conqueror of Abyssinia, from Hubat near the Kundudo, Hararge. A man of Somali origin better known as Ahmed Gragn, the left handed. Barara has not been found. In my idea, it has been obliterated by a number of stone crushers along the now badly, chaotically overbuilt road that leads from Addis to Sebeta. Exactly under the former palace of Sahle Selassie of Shoa, whose site reveals walls of more ancient fabric and whose huge granaries appear to be a tell, possibly the seat of a very important Tabot, that of Mary above Barara. Two years ago I noted, from the amazing mountain fortress of all kings after Zera Yacob: Baeda Mariam, Naod, Lebna Dengel thrushed around here by Ahmed the winner, a spiral like man made structure. From the satellite it proved to be a near one hundred meter by seventy complex ellipse with a wide central room probably designed to sustain a huge roof, supported and broken into manageable sections by many walls. 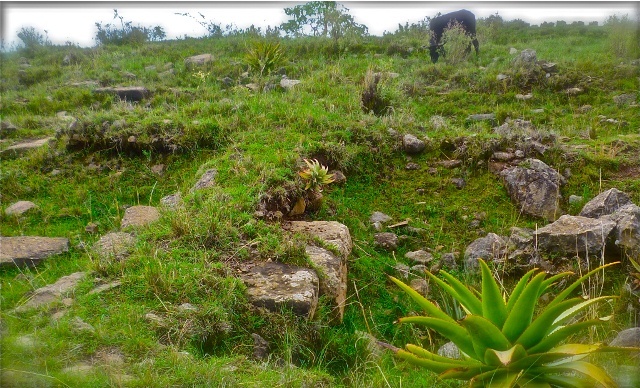 The first visit on the ground revealed it was locally wellknown to be Sahle Selassie’s granary. 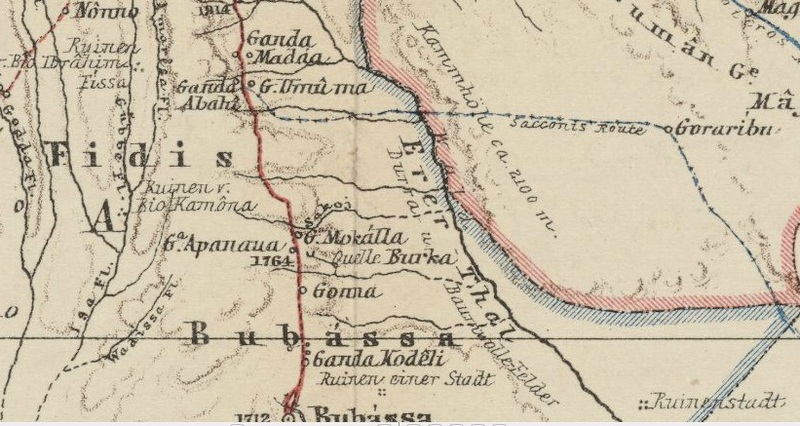 A brief bibliographic review, made very easy by Wikipedia, proved Sahle was appreciated for his efforts, after the tragic 1829 famine, to save his people and prevent further droughts placing a number of huge granaries over his land, where grains where collected from all directions. Interesting: the image of Ethiopia since climate change has produced unnaturally frequent droughts, is that of very thin and emaciated… Bob Gheldof, the ugly rockstar with a hearth surrounded by suffering beautiful Ethiopians. It is quite a mediatic shock to discover a granary bigger than a basketball stadium with all spectators’ rings, 200 years old, capable of storing easily above 15,000 tons of grain. A feat the Irish yet unaware of rock music. or the Europeans in general, by then often hit by famine so tragic they had to abandon their continent, rarely, if ever produced. Sahle also built a Church of lesser dimensions, whose inner sancta sanctorum is tapered with some amazing paintwork. The overlooking 2,3 kms walled fortress, until now erroneously designated on local geological maps as ‘rock outcrop’, the huge, stunning granaries and his palace remnants, obviously built on older ruins and most probably reused by Menelik around 1880 for his first Antotna, or Entotto palace, make together a worth visit above buzzing Addis, away from its dense uncontrolled fumes, just where this 7 million megatown is trying to outgrow the steep hills. Back to 1530, when this fortress above, if not built by Zara Yaqob by his direct successors was most likely destroyed. if the King's (Lebna Dengel or Dawit II) mountain fortress is the huge Enclosure found on the Wechacha, the church must have been thus just below. The most notable structure there is the granary, looking like a proper tell, what liies under it? Local informants are convinced the Tabot, the Church, they mean, was there Before the granary. The Granaries from satellites. may the rich totally destroyed Church be lying here under? Another likely candidate for the wealthy plundered Church is Ginbi, studied by Ricci, a provably ornated rich church. Ginbi ruins and detailed ornaments, site and two photoes above: Bruce Strachan, copyrighted, 2010. 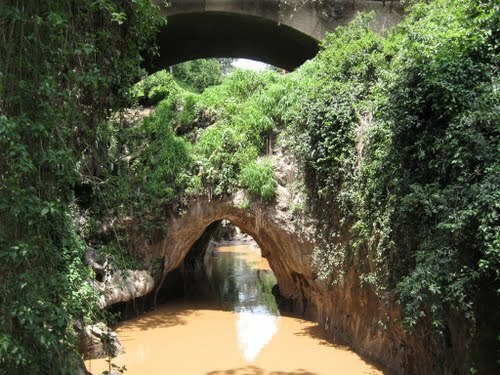 BARARA, our rich medieval capital mentioned by a number of travellers from Abyssinia to Italy and vice versa may well have benn grounded to gravel and finer stones for varoius building purposes just under the Korke fields, in present day extreme eastern Addis Ababa. A final, strong RECOMMENDATION, to the Oromia State in particular and to the Ethiopian Federal Government: do enforce measures forbidding all too easy stone picking in selected ancient sites BY PAYING LOCAL GUARDS. No more rich fragments, priceless ornaments should be turned into ordinary cobblestones. Avoid entire towers becoming peasants’ field partition walls. A small local field border dispute is not even worth the money collectable through some external visits to old ruins, a church fragment is inestimable, six cobble stones are worth less than 50 birr (two euros). But locals do not know these values, so it takes attention NOW to stop them, at least in some magic spots. Archaeos have no money and a lot of intricated bureaucracy to overcome, they are an extremely precious and rare commodity just where they are most needed in the world, enquiring medieval Abyssinia. So the thriving, rapid and active Oromo peasant turned quarries inevitably gets there first, UNLESS researchers, voluntary google earth explorers, map readers and ruin hunters gather hands, NOW to turn amazing riches to use, any of many intelligent uses, rather than cobble stones. DO find time and the limited resources needed to properly excavate here, before all is GONE. Lanfranco Ricci at Ginbi in 1972 found 'conterie', little blue, violet etc. glass pearls of possibly Italian origin, amazing ornated stones and 5-6mm side gold cubes, 'cubetti di oro'. In the process of saving the ruins, we may find how and why so far, since late axumite days to Minilik, a single Ethiopian coin has not been found, apart from Harari mints, 1780 to 1880 ca. Could those 3,2 gram cubes have been diffused? Today worth 172 USD each, could they have been currency then? A much less pricey, but extremely interesting artefact he found is perfect mud spheres, probably built around a fruit kernel, sounding to me like a ball toy: one untouched, one pierced to use with a string. To save the sites by simply paying say 300 birr, 12 euros salary to a guard per location, administrators need to know first where the sites are, thing now known just, in some cases to Hartwig Breternitz and me. Publication in any form, I would suggest electronic for ease and cost is urgent, collaboration amongst State and volunteer researchers, as well as Institutions as AAU and the Ethiopian art and manufacts conservatories is mandatory and paramount. A brief project proposal to promote the conservation of a singular natural wealth in Ambo town, within the campus of a blooming University compound. 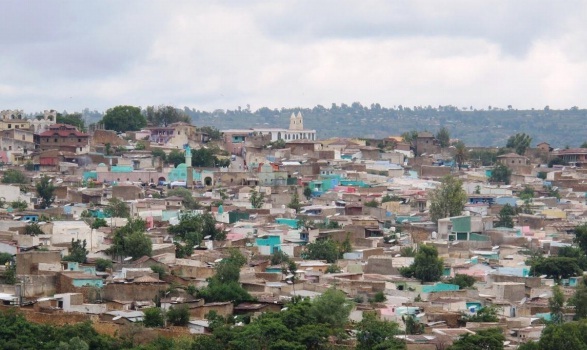 Ambo town, now over 50,000 inhabitants, has been a trade gate to wilder west expanses since medieval Ethiopia and a prominent town during the Fascist occupation; it was then endowed with two forts, a post office and a major road. It probably first developed as a village around a natural bridge. I count amongst my personal acquaintances sig. Paola del Ponte, daughter of the del Ponte, a Swiss Italian, who first developed mineral water and sodas in Ambo. Her family story is simple, yet inspiring, her personal experience reduced to child memories and the certainty that an auction sale of vast land in town, including the whole of today’s Ethiopia Hotel enabled her and a big family to study and survive hard times in post war Italy. Since that early 20th century is Ambo noted for her spa, her water and as a favourite Imperial Residence. A specific heritage capital few African towns as a whole could ever rival. Ambo is the siege of a noted senior secondary school, the one of poet Tzegaye Gebremedin, and of one of Ethiopia’s fastest growing University Campus, these five last years. Teltelle is a mostly unknown, yet very interesting powerful waterfall off a cliff of basic, mafic dark basalts incorporating a cave. More Photoes, sat views and explanations. As I saw it today, at the height of the dry season, it is obviously much richer and impressive than the most noted Guderfall just 4 kms along the Nekemte road. 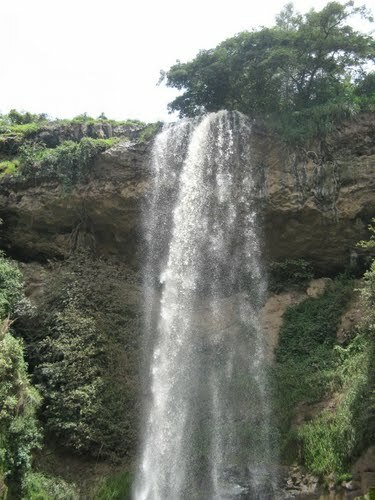 Guder fall is a noted local tourism spot, visited regularly by visitors reaching Wenchi crater lake via Ambo. A cheap, proper and wooded hotel marks and protects there the spot from abuse, while I noted with regret today that a local Oromo peasant is building a sized compound for himself under the falls, spoiling both local views and natural environment. Teltelle is, though much more conveniently placed, practically unreachable and in a rather pitiful state. Do not misinterpret me, the water is flowing freely and largely uncontaminated, but the whereabouts are not presently conducive to a visit, and deserve uncostly rapid attention. The worst is signaled by the complete felling of the forest and shrub once engulfing the river. The best access road by far is within the Ambo University campus -another access road is suited only for four wheel cars- at the end of the campus tarmac just 300m or less lead to an access point of obvious vantage: the best all season view point. Piles of earth and some gravel deposits on the right temporarily spoil the access environment on the right side, sadly not only there is no indication to the falls, but the best viewing area has been transformed in a sort of open air toilet presumably by students and there is no comfortable access to the view points, no way to descend approaching the fall. An approximately 45 years old photo, before all... change started. The proposed local monument should be preserved, cleaned, marked and defined at the town and Oromia federal State level as a Community Conservation Area, as present legislation encourages. -a fishing pool. These latter two require water quality control. The main task appears, in any case, replanting widely in the valley, for at least 400 m belowthe cliff, on both sides. The University side is much less spoiled, on the opposite side quarrying should be immediately controlled. Manage a natural pond for swimming? Noted mammal species in the whereabouts include occasional Iena and Anubis or Amadrias baboon and Irax rodents, birds include majestic Halieutis vocifera or African Fish Eagle, vultures of three species, endemic Corvus crassirostris -kura-, the thick billed raven and plenty of augur buzzards. The area, once managed with very little investment indeed, could become a well visited park producing revenue for the Institution. The area, particularly the small track leading to a viewpoint, must be cleaned putting indications forbidding its use as a toilet. A communal cleaning action will foster a first, much needed beginning of a sense of ownership and participation. Leaps of earthand different materials in the leveled and whereabouts should be leveled and managed. Soon many will feel involved, avoiding at the roots further environment degradation. Then the track and the barriers will be designed, prepared installed, developing some small areas for safe viewing. Suited original trees, widely available at very limited cost include Weyra (Olea africana) Wanza (Cordia spp.) Warka and Shola (Ficus vasta et spp.) Podocarpus gracilis and lesser shrubs locally present already. Foreign species may include some Casuarina and flowering shrubs, like Poinsettia. Planting on both sides should be initiated by students, involving local town dwellers. The project should be presented not only to town planners but, for example, to Ambo’s well organized traders’ association. The imperative basalt quarry closure should be operated in steps, starting from the area closer to the falls. And should be accompanied by well prepared educational sessions to let people understand the advantages of restoring this amazing tract of valley. A subject for pedagogy students, for local secondary school teachers, matter of interest and possibly dissertations by social science and management students. A park only becomes viable through the interest of local users. The presence of external visitors can increase revenue and sense of ownership. This local conservation area is conceived to be designed elicited and physically realized by teachers, pupils and locals in collaboration with the relevant town authorities. Builders and topographers will design the track and eventual small wooden bridges, natural scientists will devise replanting, preparing a circuit in the proposed original trees and shrubs botanical garden, management students could oversee the cafeteria business development while law, social studies or other will assist in involving the local authorities and the town community. Art and music students and teachers should from the word start devise uses and promotion ofthe Monument, including any innovative feat as ‘son and lumiere’ in evening events, retro illuminating the fall, using adjacent spaces for exhibits or child entertainment. This latter is visibly totally absent in town. The café could have an open space for the younger, possibly serve as a base for mountain bike rental, eventually horse trekking could be organized in the area. The income generating activities need to be calibrated to local needs and pockets first,with Addis Ababa visitors in mind too. A more ambitious project could include a miniature water park for the young: next to a bettered river pool, a couple of slides, inflatables on rent. The best parks are invariably the result of intelligent action and reflection, spurned most often by a creative and practical person or a well integrated community, very, very rarely indeed the product of administrative planning. A visionary, or some… useful fool produces the idea, if he or people with him have the charisma to involve those around, any environmental action rapidly becomes a practical paradigm: an action, a park, often to be successfully repeated in the area. A park within a campus can be a very clear cut, groundbreaking, useful income generating project; rather, it can become a communal goal. For sure, in itself the idea evidently allows turning to practice a few otherwise blatantly theoretical subjects related to builders, naturalists, architects, planners, social scientists and management students. The falls park as an open practical class within our campus, integrating town, nature, development and our subject studies. MEETING POINT: CLUB IN FRONT OF THE YES WATER FACTORY, ROAD TO SEBETA, 8.30 AM SUNDAY14th, 12 participants so far. Sahle Selassie's Palace! Sahle, king of Shoa, b.1795, was the most powerful ruler in Ethiopia. 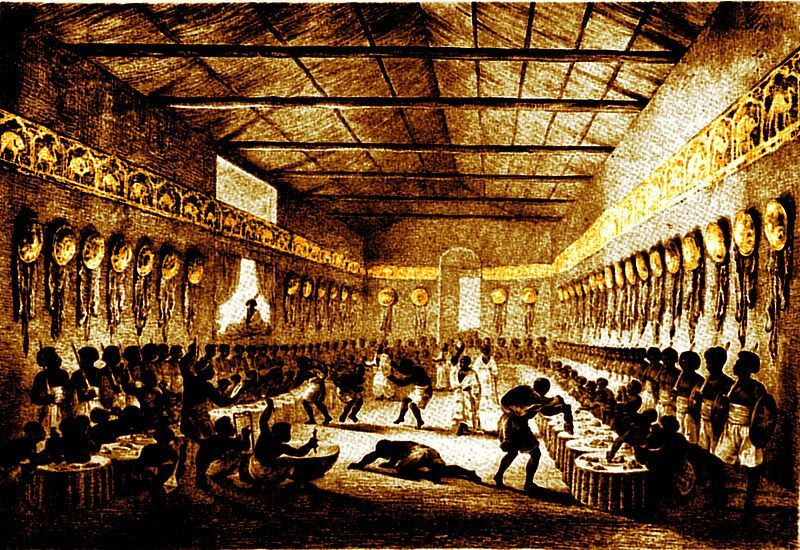 WE Invite You to the Banquet HALL. 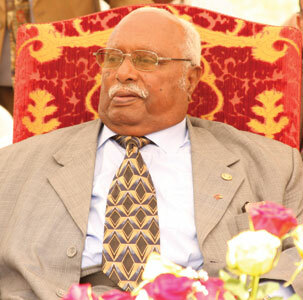 We have visited HE Girma W/Ghiorghis, President of the Fed. Republic of Ethiopia, Thursday Sept 13th. He had requested personally to see Prof. Marco, whose explorations and work he has been following since two years through the media and recounts from his personal friend Arianna Briganti, former head of the GTZ Harar Office, German State Cooperation. He has watched with attention a 20 min presentation of new finds along the Exteded East Routes in his State Room at the Former Haile Selassie Palace in Addis. He has encouraged us to tranform the Kundudo to a park, his main interest amongst a number of activities and finds presented. 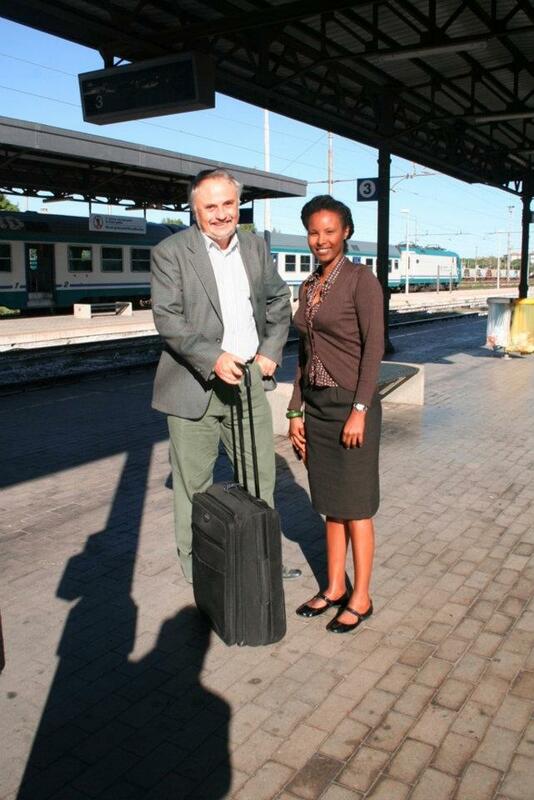 He has prepared a letter asking the Italian Ambassador to free Prof. Marco from his italian state employee duties to be able to live permanently in Ethiopia and pursue his voluntary job here fully. Founding Session, MISRAK KIRS association. Up from Atlas hotel towards the Asmara rd., on the left. And decide a first, or two first common actions. We will be in the meeting room, last floor. 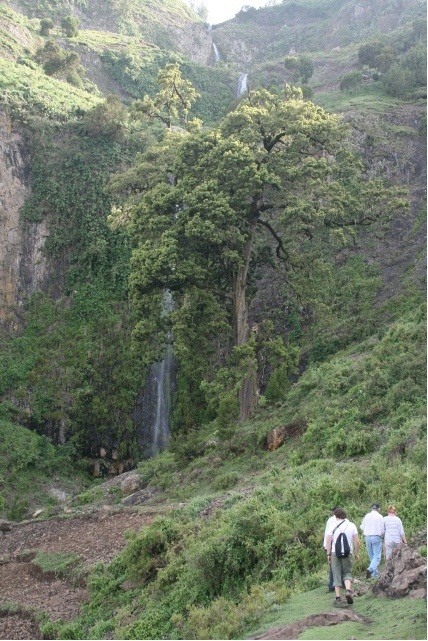 A practical pro"4">let us find an existing tree nursery in Harar or the Gursum area and finance replanting of original trees on the slopes of Mt. Hakim and Mt. Kundudo. At the same time, organise a journey to some of the most significant new finds, with tour operators. Somehow, we NEED to publish the Chinese coins finds. Note: we are absolutely proud to be followed and encouraged by a man of the stature of Dr. Munhib, we propose him to join our association as a Member at Large, hoping to be soon able to welcome him home again! The Editor. known as the Jijiga Highway. interesting aspects of the scenery. 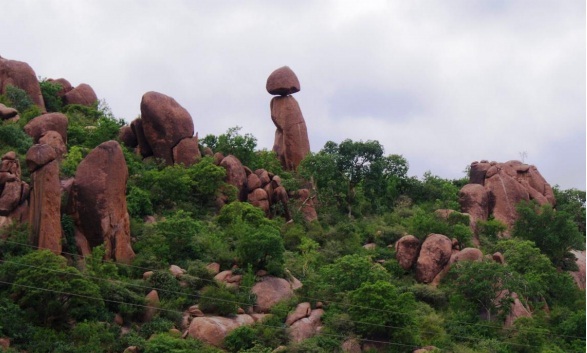 should be constructed through the rock formations to a highly scenic spot. 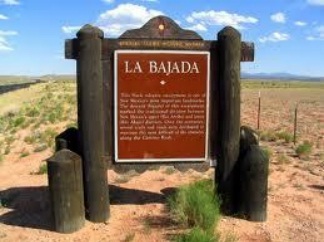 should announce this tourist stop. with radio collars, as started by Dr. Yirmed, it would be possible to offer an elephant viewing safari. Again a parking area with Road Sings should announce this attraction. Long believed to be a separate Loxodonta subspecies, recognised to be L. africana by a party directed by our Dr. Yirmed. 7) Some of these rest stops should have small either road side or sit down eating establishments. There should be restrooms good enough and clean enough for International travelers. 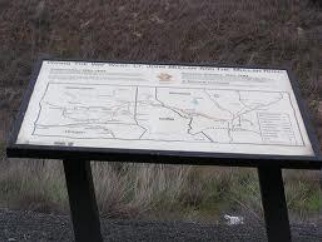 Example of a plaque to provide information on some of the more interesting aspects of the scenery . The views expressed here are meant to initiate dialogue. The author has extensive international travel and expedition experience but is not in the tourism business. direct access from the first road descending after the museum, to the right. We received a visit from Munhib Wober, researcher, Harvard, who broght some discomforting news from Gursum. We need to act! 2) How to save the Kundudo from evident, continuing degradation? WE ARE OFFICIALLY REGISTERING OUR ASSOCIATION INETHIOPIA. PLEASE BRING YOUR ID TO BE A MEMBER OR ASSUME CHARGES. Do intervene, we need your voice!! YONAS the head of antiquity at the Ministry WANTS AN ACTION PLAN FROM US! LET US NOT MISS YOUR VOICE!